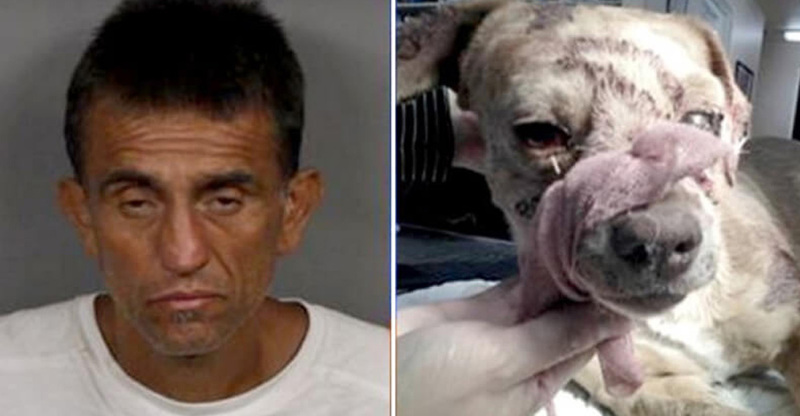 Efren Rodriguez Martinez had been caught abusing his 3 year-old terrier mix named Rusty with a shovel and leaving it to die. After his neighbours had witness Efren hitting his dog’s head with a shovel, they immediately contacted the local authorities. By the time the authorities had arrived, Rusty was in a critical condition so he was rushed to the VCA Valley Animal Medical Center. Unfortunately, Rusty had later succumbed to his injuries and passed away. Efren showed no remorse for his dog’s death and sentenced a maximum of 8 years in a state detention facility.